It is indeed that time of the year across the globe when kids are either starting to plan for their summer parties or are thinking about taking that step up to the next level in school. So June is truly the ideal month for ‘Back to School’ Collections, as it gives most kids in the Northern hemisphere enough time to pick and choose before the rush of the school year hits again. 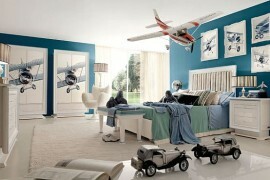 And Gautier has come out with its latest lineup of kids’ bedroom decor that has a bit of something for everyone. Combining form with functionality and elegance with playfulness, the Back to School 2014 range of children’s bedroom furniture is all about comfort, creativity and loads of fun. And the exquisite bedroom compositions from Gautier showcase this with typical French flair and exuberance! Pink and girls’ bedrooms are an inseparable combination and seem to simply never go out of style. If anything, we need to find that genius who in the early part of nineteenth century decided to market pink aggressively as a feminine hue and stick him with a Nobel or something similar! The Gautier Back to School lineup digs into this timeless color trend and gives it a classic makeover with the Demoiselle. Borrowing from the Louis XV era, it is a perfect choice for your precious little princess, and its many elements seem both dreamy and practical. 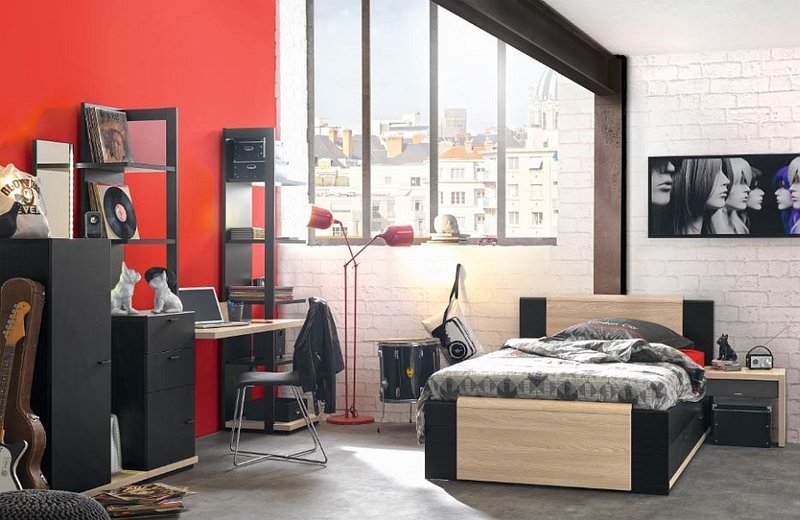 Complete with a multimedia unit, a stylish workstation, a trendy daybed and many other smart additions, the Tactil Collection is for both teens and kids who want a teen-styled room. Unlike the Demoiselle, Tactil takes a completely contemporary approach to design and decor, making it an ideal choice for the sleek, urban home. 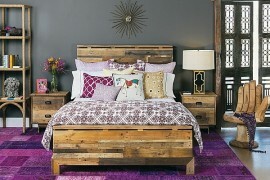 Yet, smart additions of color and personalized accessories can instantly transform it into a catchy space. Highly modern in its design, Tactil is for kids who are just stepping into their teens. We love the Dimix Range, as it seems to combine the chic, urban flavor of Tactil with space-conscious decor and smart bunk beds to create the ideal kids’ room that many of us are searching for. Since most homeowners do not have ample room to spare, Dimix addresses your storage and space conundrums by providing ingenious bunk beds, storage cabinets, lockers and workstations that can multitask with ease. From bunk beds featuring an extendable work table to trundle beds that help tuck away all the mess, Dimix has it all! Modern bunk beds are not just about putting one bed on top of the other. They offer a complete package that brings together storage, workstations and sleeping space in an aesthetic and versatile fashion. The beds of the Dimix lineup typify this trend and accentuate it with the right aesthetics. 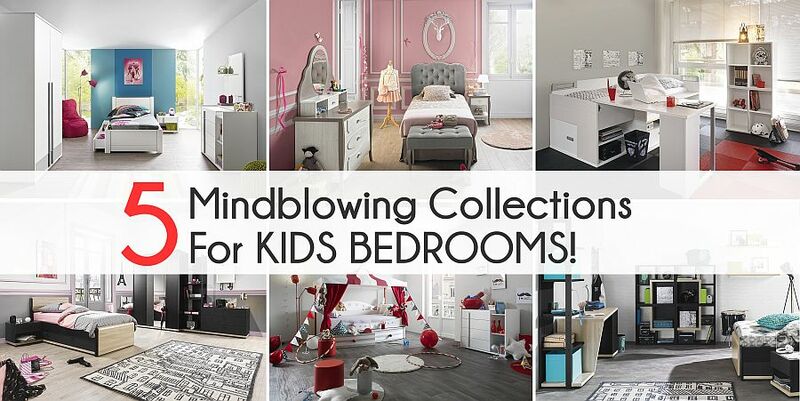 It was only a few weeks back that we were discussing the value of timeless kids’ bedrooms that grow along with them. Urban is one such children’s bedroom that looks uber-cool and could easily offer the perfect backdrop for an adult bedroom as well. Combining pale wooden accents with a black and white color scheme, Urban is hip, relaxed in its demeanor and perfectly fits the ‘twitter generation’ that is all about brevity and nonchalance! 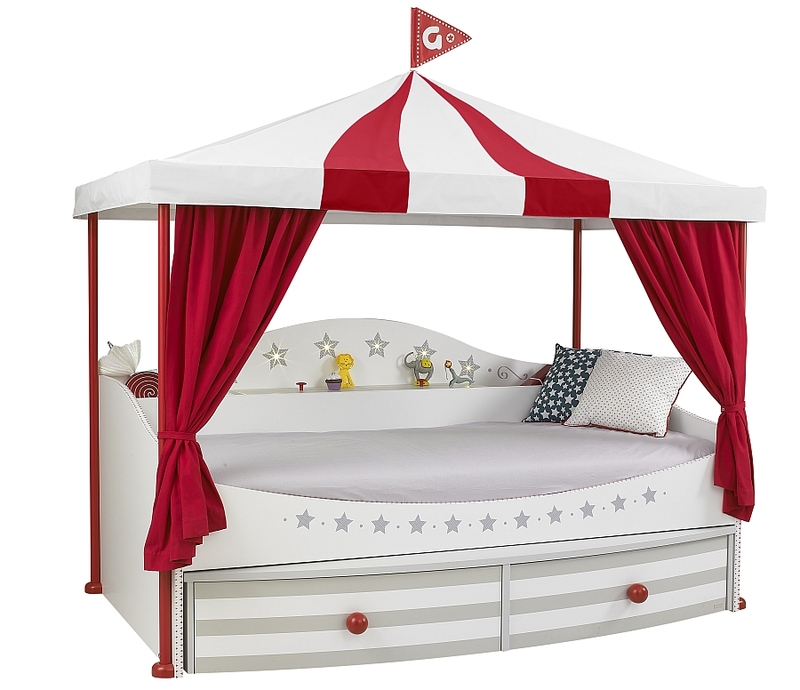 Dubbed Piccadilly, this smart circus-themed bed from Gautier offers a lot more than meets the eye. 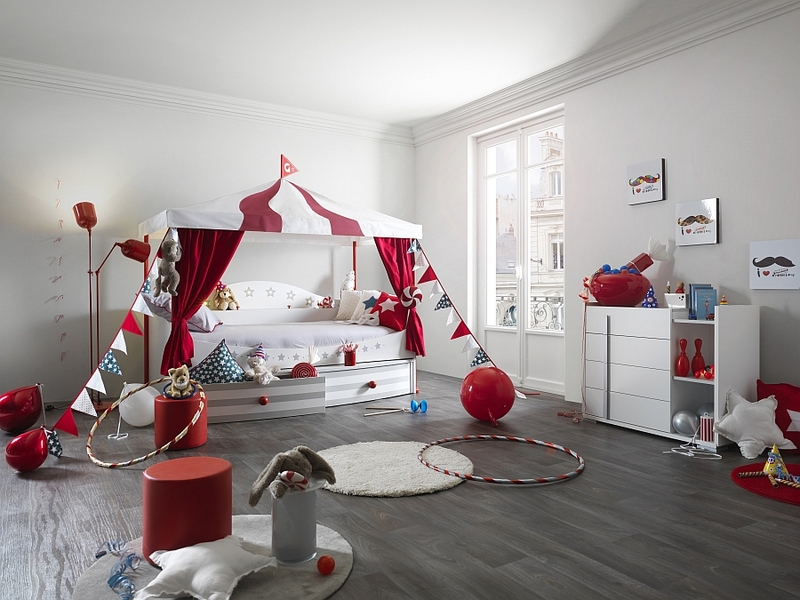 Clad in red and white, its unique design and the wide range of accessories promise to turn the room of your little one into a theatrical stage where he is the shining star every night! But it also comes with ample storage space that lets you tuck away all the toys at the end of the day. Thanks to its simple color scheme, the accent additions and colorful bedding seem even more attractive when coupled with the Piccadilly. 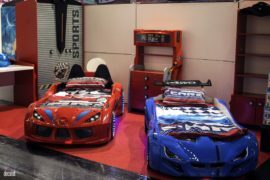 As always, the latest range of children’s bedroom furniture from Gautier has left us enthralled, and we expect to see these pop up in kids’ bedrooms across the world in the next few months. 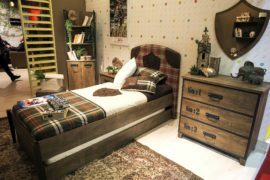 You can obviously buy individual shelves, cabinets, beds and workstations that you think will fit the existing design theme of the kids’ room in your house and mix and match to create new compositions. So, which of these latest delights do you love the most?